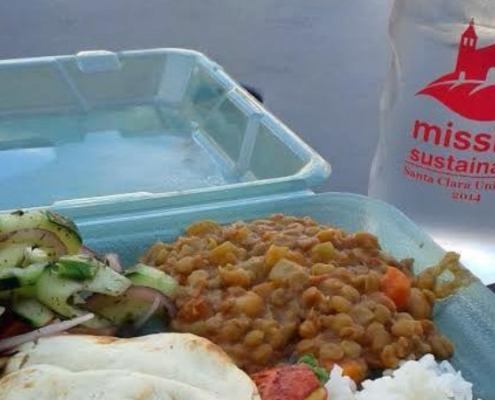 Eco-friendly trays are in and to-go containers are out as Santa Clara University pursues a zero-waste campus goal. Creighton University and Saint Louis University have been recognized with the Arbor Day Foundation's annual Tree Campus USA status in recognition of their campus efforts. Jesuit High School was recently awarded the overall 2015 Oregon Sustainable School Award. Jesuit was also awarded the first-ever Oregon "More Sustainable" Award, which recognizes the school's continuous improvement efforts in sustainability over the last four years.